Sergio Leone and the Infield Fly Rule: KNEEJERK REACTIONS TO THE 2018 OSCAR NOMINATIONS, or DOES THIS MEAN I HAVE TO SEE A STAR IS BORN NOW? Well, I’m trying to stay tuned. But honest to God, I find it really difficult, especially when the movies themselves are still outside my experience, to get all whipped up in an office pool frenzy about a potential face-off between Lady Gaga and Glenn Close for Best Actress, especially since A) I have almost 0% historical interest in any version of A Star is Born (I made it through part of the Cukor version once, the only version that holds any intrigue for me); B) I have an almost categorical allergy to Glenn Close (for me, her finest hour on film comes in Mars Attacks! ); and C) I spent the last three months convincing myself that Olivia Colman was a shoo-in, and now the unfailing wisdom of the Hollywood press is trying to convince me otherwise. On some level, I think I actually resent the intrusion into my fantasy that for once the person who I believe actually deserves the award (and the general recognition from an otherwise “Olivia Who?” sort of crowd) might actually win. Ah, who knows? Close or Gaga (we don’t ever call her Lady, do we, unless we know her well) might be really good in their respective roles, but they both seem like such obvious choices, and from a purely bread-and-circuses perspective, the positioning of either one as a favorite kinda makes me reflexively reach for the snooze button. And speaking of Bread and Circuses, Squirmy Public Spectacle Division, Close oughta be aware of the danger of being declared any sort of front-runner, based on either merit or “She’s been so good for so long” status. As a friend of mine who is much smarter than me on these things observed on Facebook recently, just ask how that sure-thing buzz worked out for Lauren Bacall, or Eddie Murphy, or Burt Reynolds, or most recently Sylvester Stallone. The bottom line is, I just don’t have a whole lot of dogs in this particular hunt. If it were up to me, you’d be seeing a whole lot more of First Reformed and Leave No Trace and Buster Scruggs and Searching and Burning, and maybe even a cultural consciousness no-show like Cory Finley’s Thoroughbreds on Oscar night, at the partial expense of all the pictures mentioned above, and even of the presumed all-around favorite, Alfonso Cuaron’s Roma, which far too many people who are inclined to abuse the word are declaring a masterpiece. 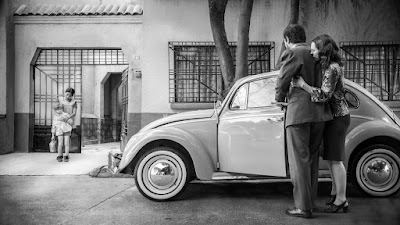 (I admire the movie, but I never overcame Cuaron’s own prescribed remoteness—I kept waiting for the moment that the movie would sweep me away, and it never did.) And these articles I read immediately after the nominations were announced, the ones that kept trying to sell the idea that for once there was no recognizable front-runner, that for the first time in a long time, for whatever reason, the Oscar show might have a little suspense, well, the folks who wrote those pieces must have been looking at a different list of nominees than I was. In what world could a movie which garners nominations for Picture, Actress, Supporting Actress, Director, Screenplay, Cinematography and Best Foreign Film, one with considerable critical backing and unprecedented availability in homes equipped to stream Netflix, not be considered a competition-crushing front-runner? 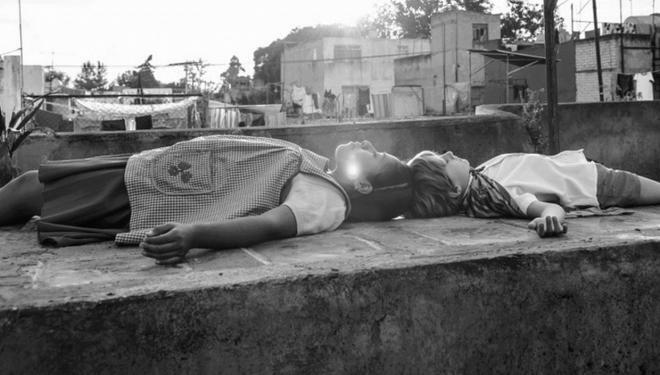 No movie nominated for both Best Picture and Best Foreign Film has ever taken both awards, but Roma could do exactly that. For Christ’s sake, Cuaron himself personally stands to walk away with five Oscars next month. 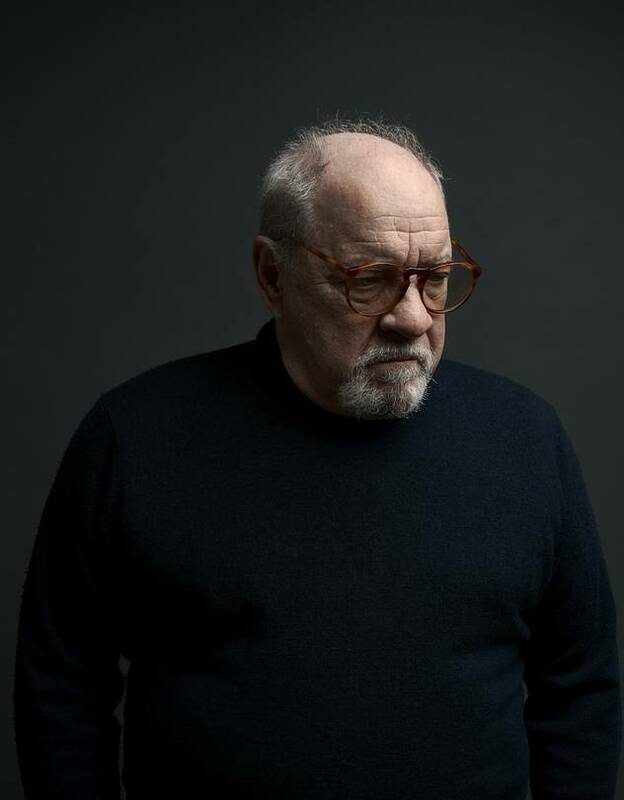 Between them, in their storied and influential careers Robert Altman and Alfred Hitchcock managed to snag exactly none. Oscar will reveal his decisions on February 24, and no doubt some smarmy jerk like me writing for his holographic blog or for Trailers from Hell in 2078, if the Academy and the Internet and civilization itself still exist at that point, will wonder why everyone in 2018 thought Roma or A Star is Born or Vice were such collective big deals, and that person will likely have no idea that many of us in the current moment were thinking the same thing. (And I’ll bet the movies which will be clogging SmarmyGuy2078’s Oscar wrap-up article will be just as perplexing in their acclaim.) But we march on, tossing our observations and predictions about Oscar around like so many ineffectual thoughts and prayers, in the hope that come Oscar Night some of it will somehow gel into something resembling sense, some entertainment value beyond gawking at gorgeous gowns and listening to a parade of strident speechifying (however well intended) and gushing about the four other nominees who didn’t get to make the long walk to the stage and how this really belongs to all of you! That’s not really very likely to happen, though I do think that proceeding without a host is a step in the right direction. For once, the Monday morning teeth-gnashing in all the entertainment press will have to focus on something else besides Kevin Hart’s painfully misguided sense of humor and the writers who couldn’t make him, or Seth MacFarlane, or Ellen Degeneres, or Jimmy Kimmel, look any better. Presenters of individual awards, good luck to you all. To everyone else, may your Oscar party be amusing, however tedious and predictable the outcome of the actual show may be. Wherefore art thou, Elizabeth Debicki? Wherefore art thou, Michelle Yeoh? I walked out of Widows and Crazy Rich Asians convinced both were locks for a Supporting Actress nomination—they were the only things people with wildly variant views of the respective films could agree on, and they both outclassed their own movies. 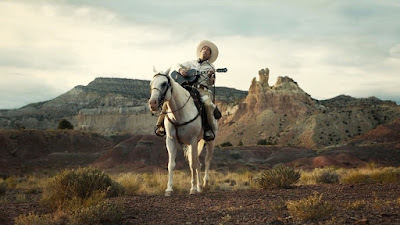 And Tyne Daly’s dyspeptic apoplexy in The Ballad of Buster Scruggs was flat-out spectacular. I couldn’t take my eyes off her. Yet these women get only crickets, while Marina de Tavira slides in on Roma’s overall goodwill and Amy Adams rides the coattails of the Academy’s mysterious love for the largely derided Vice. (There’s a joke in there, but I won’t make it.) I’m inclined to back Regina King simply because I’ve loved her since 227 (look it up, art house snobs! ), but I have yet to see If Beale Street Could Talk—I was gonna catch it this afternoon, but instead I’m sitting at home writing this—so I’ll tilt toward Emma Stone. I loved Wes Anderson’s Fantastic Mr. Fox, but Isle of Dogs looked like a mutt too far for me. (Yeah, yeah, it’s on Amazon Prime—I’ll get to it.) And frankly, I was a touch disappointed by Incredibles 2, which was admittedly burdened by being a sequel to a film that was almost impossible to follow. 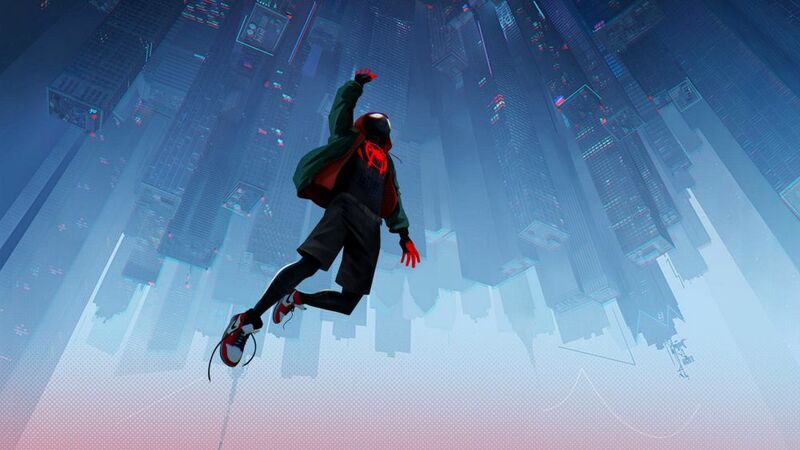 So, admitting ignorance about Dogs, Mirai and Ralph Breaks the Internet, I’ll still confidently (if somewhat ignorantly) proclaim that no other animated feature colored outside the lines in such an innovative fashion as Spider-Man: Into the Spider-verse did. It’s not just the animated movie of the year; it comes damn close to being the movie of the year. Free Solo wasn’t quite the feat that Jimmy Chin’s previous eye-and-mind-boggling mountain climbing doc Meru was, but it’s still grand. Of Fathers and Sons is easily the most unsettling movie I saw in 2018, and it’s a daring, unblinking piece of work. 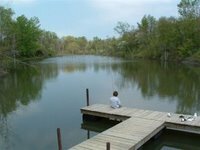 And to my shame, I have so far missed RBG, Hale County This Morning, This Evening and Minding the Gap. I’d vote for Of Fathers and Sons of the five. But the real story in this category is all the movies-- in a great year for documentaries, by the way-- that went unrepresented, titles like Scotty and the Secret History of Hollywood (okay, AMPAS ain’t coming near that one-- I get it), Fahrenheit 11/9 (the political outrage factor already covered, I guess, by Vice), John McEnroe: In the Realm of Perfection, Amazing Grace and Three Identical Strangers. But the huge elephant (or the giant Donkey Hodie) in the room is, of course, the lack of recognition for Won’t You Be My Neighbor?, a movie that may have been hurt by voters in the Academy documentary branch who may have felt the movie, a big hit and the rare documentary that might be almost as beloved as its subject, had already collected its reward. Mr. Rogers might forgive such an omission, but I cannot. I’d like to think longtime Spike Lee cutter Barry Alexander Brown has a real shot at winning this-- he’d get my vote. But all five nominees also have representation in the Best Picture category, and Roma is not among them, so looks like anything could happen here. 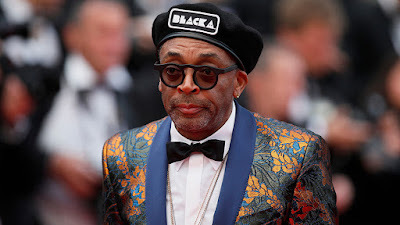 My vote: BlacKKKlansman. Prediction?... Um…. The Favourite? Green Book? Please. Vice. For Border and Mary Queen of Scots, really, it’s just an honor to be nominated. Really. Another toss-up. Though I’ve often bristled at the way his music has been used by Lee, the veteran Terence Blanchard is well-represented for his work on BlacKKKlansman. 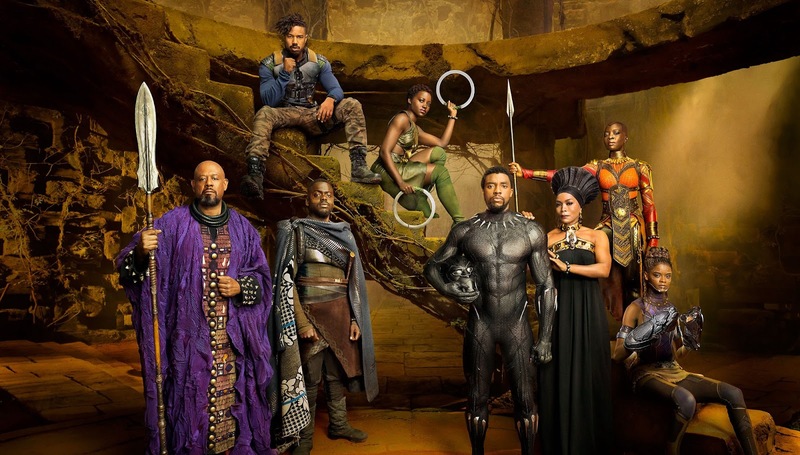 I honestly don’t recall a note of the score for Black Panther. And if I voted for Mary Poppins Returns, it would be because Marc Shaiman should have won something for South Park: Bigger, Longer and Uncut 19 years ago. (Nineteen years ago…?) I’d vote for Blanchard. And a post-year-end note by way of a mea culpa. I submitted my list of year-end favorites a couple of weeks ago, and I was forthcoming (to the point of embarrassment in some cases) about my blind spots. 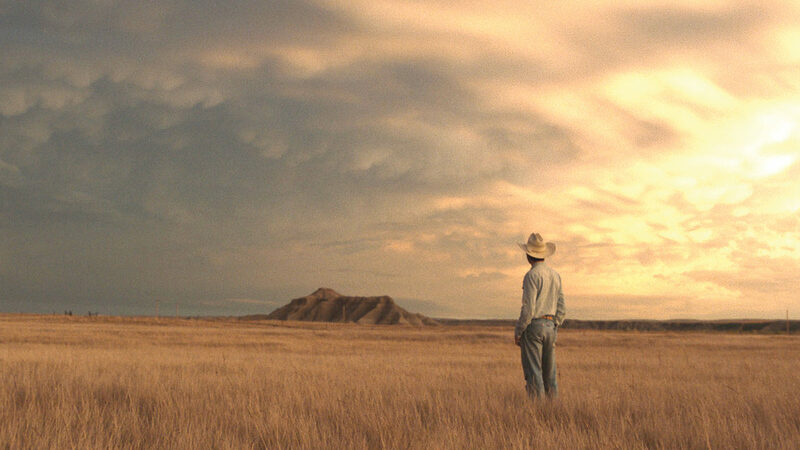 But thanks to my own poor record-keeping, I created a blind spot for myself where there was none by accidentally omitting Chloe Zhao’s The Rider from the upper echelon of my list of favorite movies of 2018. The story of The Rider, that of a young Native American cowboy (Brady Jandreau) who, after a devastating head injury, has to reevaluate his own life and his place in the world, was based very closely on Jandreau’s experience—he’s a real cowboy, not an actor, and the movie is populated with people from his own family and circle of friends. But what could have been simply a sincere, NPR-friendly character study becomes responsive, inquisitive, empathetic art in Zhao’s hands. With The Rider she’s made a startling original, a one-of-a-kind tribute to one man’s anger and confusion and resiliency that begs comparison to no other movie this year. And yet in a strange and lovely fulfillment of one of her premier influences, Zhao has also made the Terence Malick movie that Malick himself seems unwilling or unable to make anymore. My two cents: Six of the eight major categories are pretty much a lock: ROMA, Cuaron, Bale, King, and for screenplays, THE FAVOURITE and BLACKKKLANSMAN. (I know Malek's been coming on strong, but late breakers historically don't catch up in time.) As for Supporting Actor, it will probably still be Ali, but he just won two years ago, so there might be a sentimental wave for Sam Elliott in what will likely be his only shot at the gold. So that just leaves Best Actress as the one genuinely wide-open category.